If you are a movie enthusiast, you must have strict requirements about the movie audio and video quality. What you desire is to obtain the best video picture quality. Since 2006, Blu-ray has been introduced to movie lovers with its high resolution picture quality. With time passed by, nowadays you are available to all kinds of digital resources in Blu-ray format. However, in order to play the Blu-ray discs, you need to obtain a proper Blu-ray player in the first place. Especially, if you are a traveler or businessman on the go, then a portable Blu-ray player will be more suitable for you. In this post, we are going to elaborate more information about the best portable Blu-ray players. Just keep your eyes on. In the digital era, due to the popularity of Blu-ray discs, an excellent Blu-ray Player can make you convenient to watch a lot of HD videos. Regarding the portable Blu-ray player, it can be more useful and efficient in some specific situations. First of all, what is a portable Blu-ray player? Well, it is a Blu-ray disc player with a screen inserted as a part of the whole digital device. For the common Blu-ray player, in order to play Blu-ray disc with it, you have to configure another single screen to be the output device which is usually space occupying and quite large. But if you are not at home, then a portable Blu-ray player will be quite perfect for you. For example, if you are a frequent traveler on a plane or on the road, with such a portable Blu-ray player at hand, you can enjoy all kinds of Blu-ray discs freely during your trip. 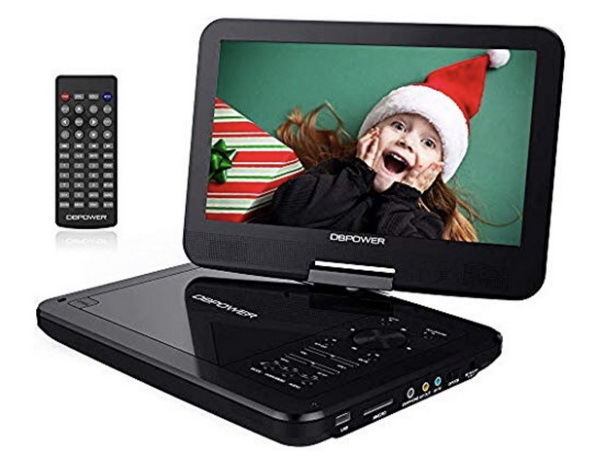 Or sometimes, when you plan to go out for a travelling or just go to a supermarket with half an hour’s reach by car with your young children, then put one cartoon Blu-ray disc into a portable Blu-ray player will be helpful to offer more peaceful moment. Furthermore, in the business or working situations, you may have the urgent need to share some important videos or clips with your colleagues or customers and all the video information have been saved in the Blu-ray disc, then in such a case, take a portable Blu-ray player with you can be a wise option. Therefore, if you are falling to the above groups, then it is quite necessary to obtain a portable Bu-ray player which will bring quite plenty of convenience to you. Well, it is confirmed that you will need to buy a portable Blu-ray player, then how to choose the most appropriate portable Blu-ray player according to your own requirements? What are you going to consider before buying a portable Blu-ray player? Here are some factors will be listed below that should be taken into consideration before buying a portable Blu-ray Player. 3D capabilities: Portable Blu-ray players are compatible with both DVD and Blu-ray discs. The specification of Blu-ray players also vary. If you have the need to watch Blu-ray with 3D effects, then you have to choose a portable Blu-ray player with 3D capability. 4K upscaling: Now, more and more Blu-ray players support Ultra HD discs. A portable Blu-ray player with 4K upscaling feature will allow you to convert regular resolutions to a much higher resolution up to 3840 X 2160. But this ultra 4K videos can only be played on Ultra HD TV. Wi-Fi capability: This is a basic feature for a portable Blu-ray player. With this, you can stream online videos by connecting to a router. Take this feature into consideration especially when you are a budged one. Digital Living Network Alliance (DLNA): With this function, you can’t only play Blu-ray discs, but also can be able to view other digital files in the computer, including photos, music and other movies. High resolution audio: Aside from the HD resolution that a Blu-ray discs will bring, if you would like to obtain the greatest movie watching experience, this feature allows for high resolution audio inserted. 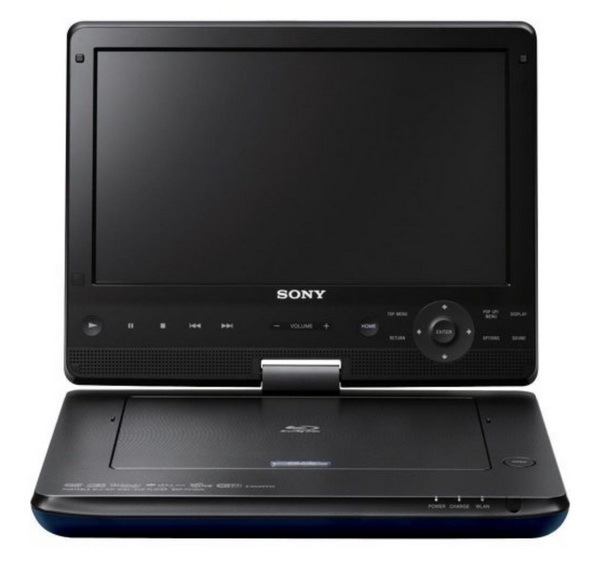 USB and A/V connections: All the best portable Blu-ray players consist of HDMI outputs which allow you to connect the player to television or audio/video receiver. With USB output, you can view other videos stored in the USBs. Battery lifespan. This feature matters to a great extent, especially during your road trip without any additional battery at hand. Sometimes, the portable Blu-ray player with longer battery lifespan will be much more expensive. Aside from the above features that should be considered before buying a portable player, you can still refer to other aspects, including navigation and picture controls, HDR and Dolby Vision VS HDR10 etc. For your conveniences, I will list the 5 best portable Blu-ray players in recent years. You can refer to the following recommendation for your further references. As one of best portable Blu-ray DVD players, Azend has won a lot of good reviews and feedbacks due to its slight appearance and high resolution screen and excellent compatibility with DVDs. With slot cards and USB outputs, you are allowed to stream videos or photos through it. Moreover, with 4.5 hours battery lifespan, Azend can be a good choice during your trip. You can take it wherever you go just in a bag. It supports both HD and Blu-ray formats. But it lacks outstanding points in the design. If you are not satisfied with the 10-inch screen, then Sylvania with 13.3-inch screen will be your target. 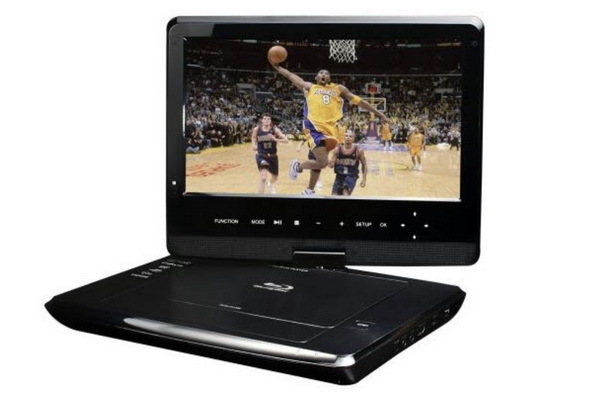 With a larger screen as well as compatibility with 1280 X 800 resolution, this Blu-ray portable DVD player can easily provide you with the excellent movie experience. With 180 degree swivel screen, it is better for home use and sharing in the public place. It also has SD and USB outputs and has a battery with 2 hours lifespan. But sometimes its volume controls are not quite easy to use. Next, the third one I will introduce is Sony BDP-SX910. As one of the best portable Blu-ray players in the past years, Sony BDP-SX910 is quite comprehensive in its features, including high-resolution, widescreen, swivel 180 degree feature, 4.5 hours battery lifespan as well as the dual HDMI outputs and USB port. What’s worth mentioning is that it has touch-sensitive controls and supports variations of video/audio formats. But it doesn’t support 3D effects. 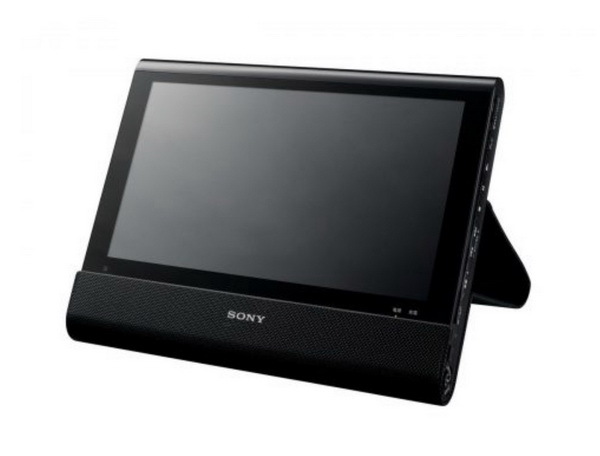 Another Sony produced player will be further introduced is Sony BDP-Z1 portable Blu-ray player. This player is compatible with SD and HD formats. It also has a built-in tuner which is able to receive TV signals, like an antenna. With AC charging cable, this Blu-ray player allows you to charge it during your long trip with a car charging cable. Its battery lifespan is up to 5 hours. The last one on the list of the best portable Blu-ray players is DB Power 10.5-inch portable player. With medium-sized screen, this player is able to play Blu-ray discs freely with 3 hours battery lifespan. This player supports various media formats, including DVD, CD, DVD+RW/R and so on. It also supports 32GB USB and SD cards capability. 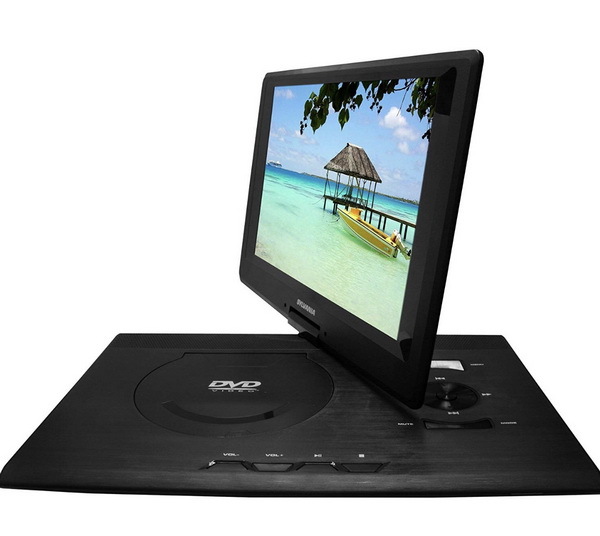 With a swivel screen, it can give you 270 degrees of rotation. The AV port allows you to connect it to your TV and you can charge this player with AC adapter in your car. Besides, it has a great feature in continuing where you left off last time and it can automatically take you to the point where you stopped last time. obtain the personalized settings according to your preference and all the settings could be done automatically. 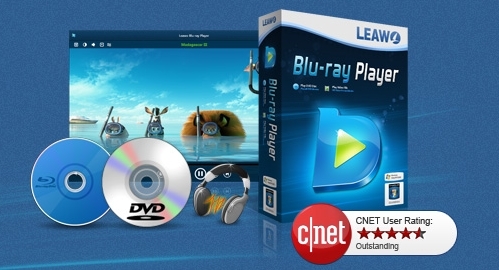 5 best free Blu-ray Player software tools for you.